Choose one week or all eight! 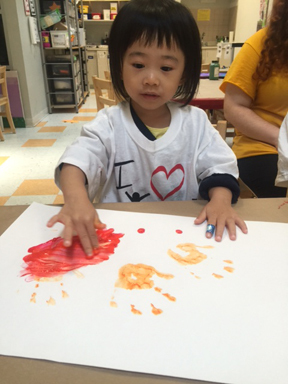 Fill your child’s summer with art, music, and dance, with a new fun theme every week! Days are flexible. Register for 1-5 days of camp each week for up to 8 weeks. Tuition includes a NUT-FREE morning snack. Transportation is not provided. All campers must be toilet-trained and have previous experience at a separation program. Register early (recommended) as some weeks close out quickly! Deadline for registration is the Thursday before each Drop-Off camp week, space permitting. Class sizes are limited! Call today and don’t get closed out.